Even though I myself am no longer an indie polish maker I think it is important to support other UK based Indie brands. It is easy to forget behind the brand is a real person- a person who puts alot of time and effort into producing a high quality products. This little series helps to put a face to the brand and get to know the brands a little better. My name’s Fiona and I write a nail art blog, POW Nails, over at www.pownails.co.uk. 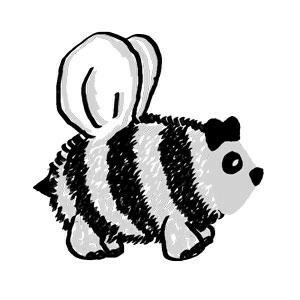 I also have an Etsy shop called Pandabee, where I sell keyrings and jewellery painted with nail polish and all kinds of fabulous glitters. You can find the shop at www.etsy.com/uk/shop/PandabeeShop. I’ve set up a code PISHPOSH for readers to get 10% off too! 3. What made you start making polish keyrings? I started off making nail polish with matching keychains but found that making the keychains and other sparkly things was more fun! 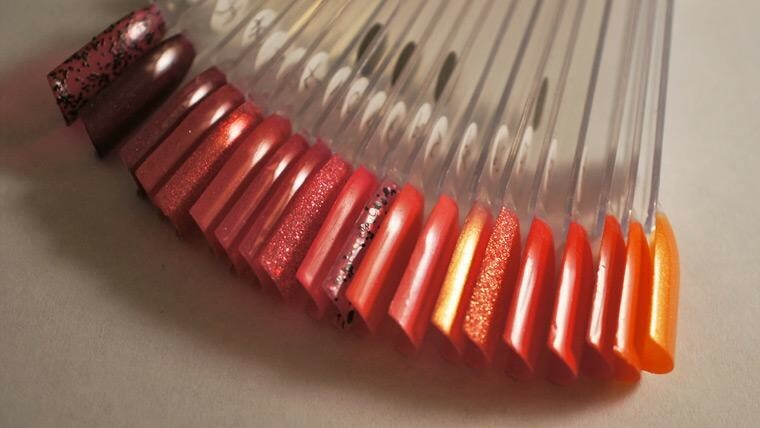 You can really experiment with layering different colours and glitters and because the glass on them is domed it really enhances the effect and magnifies the glitter. Sometimes a mainstream brand will release a lovely glitter that I just have to use for a keychain, like Maybelline Street Artist. This was just crying out to be made into a keychain. Indie nail polish brands are a huge source of inspiration for me as they are fantastic at mixing glitters and creating different moods and effects. I think that’s something that I want to improve upon with my keychains. Besides, it’s an excuse to buy more glitter and who can resist that?! As I’ve had the nail art blog for a couple of years, I’ve got a decent stash of polish to use too. They’re all nicely organised on numbered swatch sticks. 5. What is your favourite design and is it the same as your most popular one? 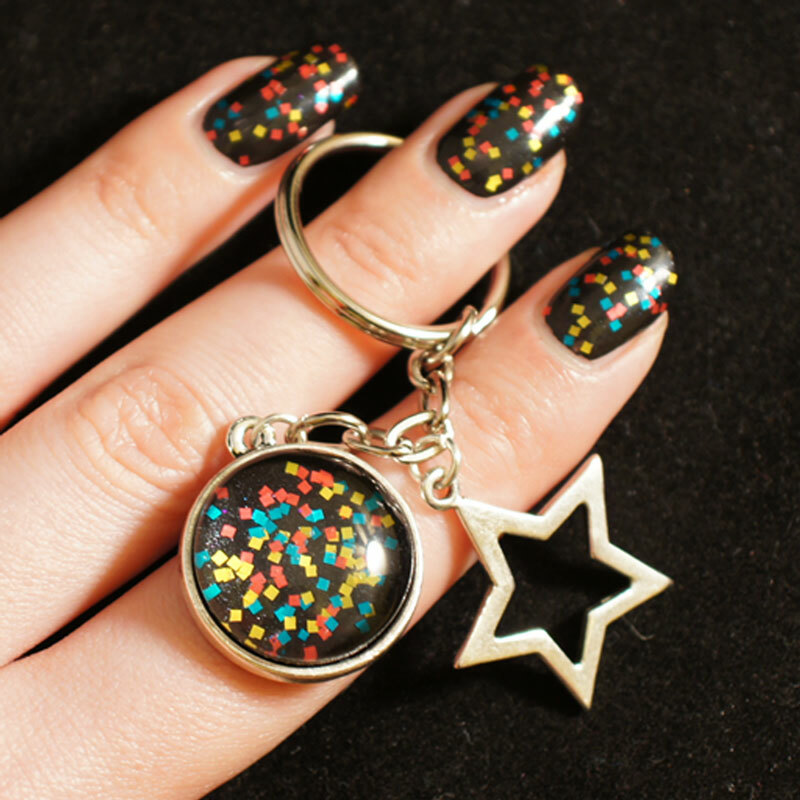 My favourite design is the POW Squared keychain, it was the first one I ever made and I was so careful to pick out the perfect colours of glitter to get the effect I wanted. I’ve never had a nail polish with square glitter before so I was itching to create one and this is nice and bright, but edgy. I made loads of these too, I don’t think I could help myself! 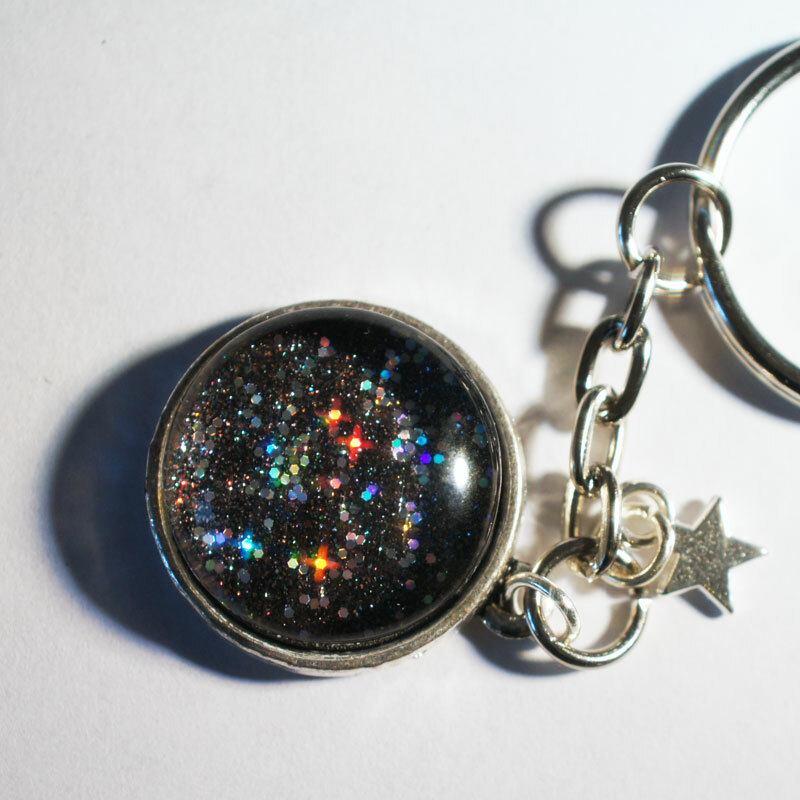 The most popular one in my shop is the Black Holo Fabulous keychain, it’s got a shimmery black base and all sizes of holographic glitter on top. It’s a simple concept but it looks like a little galaxy and sparkles even in low light. It’s probably my second favourite. 6. What is coming next from your brand? Can you give us a sneak peek? More necklaces and earrings definitely. The necklaces are quite a bit bigger so you get a more striking effect from the glitter. I made one for myself and have had loads of compliments on it. 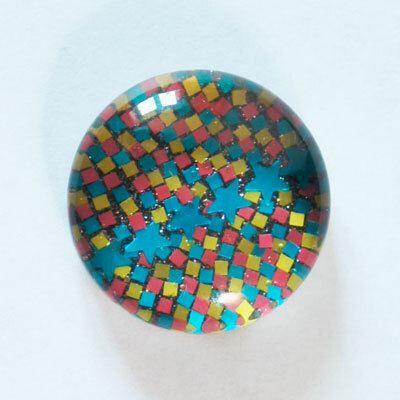 There are a few pairs of stud earrings in the shop now too, I’ve been playing around with the square glitter again and have made these, which haven’t made it to the shop yet. 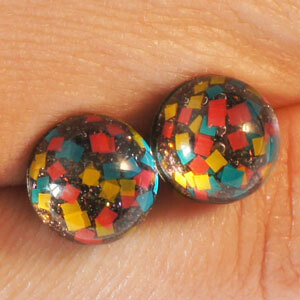 I’ve made an extra pair to keep for myself though! 7. Do you sell anything else in your shop? At the moment it’s just keychains, necklaces and stud earrings. I’d like to make some bigger, dangly earrings too at some point, maybe square pendants on the necklaces too. 8. Are there any other indie makers that inspire you? So many that I’m worried I’ll forget to mention them! Indy’s Indies was probably the most creative in my opinion, but Danielle has shut up shop now. Jindie Nails also have some cool ideas. 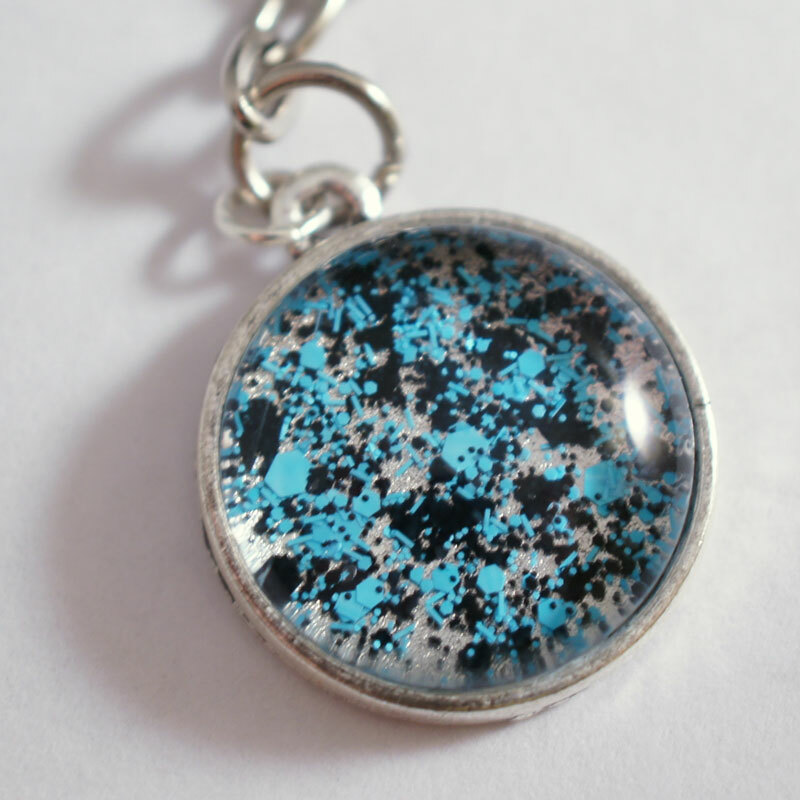 I have a Custom Keychain listing in the shop where you can decide how to build your own keychain. 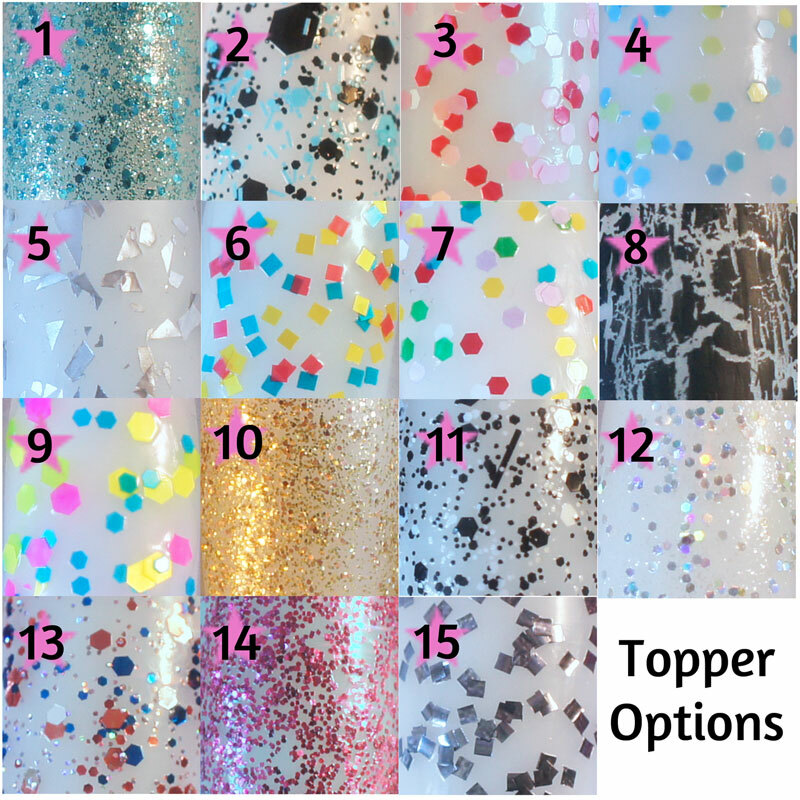 You can choose the base colour, which glitter topper to use and then add a little charm if you like! I’m currently 50/50 on whether I’m going to bother making this one into a keychain. I was messing around with glitter placement but because I used matte glitter it doesn’t quite have the wow factor I was going for. I think I’m reluctant to scrap it and start again because it took me ages to do! What a great interview! She makes some cute things.